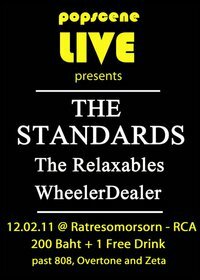 The first one of 2011 and we’re still striving to keep live music going in Bangkok by bringing great live tunes to the ears of the needy. This time around we’ve got live sets from none other than. Walk past 808, Overtone and Zeta and keep going, it’s on the same side.